The Egyptian El Sewedy Electric Co. SAE, through its subsidiary Elsewedy Power, has been awarded the construction of two power projects with a combined capacity of 1,965 MW in the United Arab Emirates. The implementation of these projects will be done in collaboration with other world-class energy entities such as Siemens, according to Ecofin News Agency. 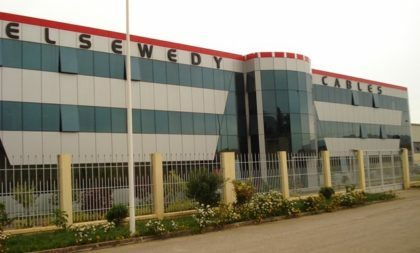 Elsewedy said that the scope of its work includes the design, supply, and installation of all equipment of the project, as well as civil and construction works. Siemens’ scope of business includes the manufacturing, supply, testing, and establishing of the power plant units and contributing to managing the tasks of the project. The first power plant will have natural gas as a fuel with a total capacity of 815 MW. It will start generating power in 2020 through three units, the company said. The second project is for a plant with a capacity of 1,150 MW that will be located in the locality of Sharjah, Elsewedy disclosed without giving more details. The company manufactures and sells integrated energy products and services in seven energy segments: Electrical cables and accessories, electrical products, telecommunications, transformers, wind energy generation, energy measurement and management, engineering, procurement and contracting . The company has become a diversified global group with more than 14,000 employees and 25 production sites.